My children have always been raised with honest and age appropriate discussions about social behaviors, family expectations, their bodies and how they function. Much like these iphone contracts and new car contracts my eldest received, I created a PROM contract to reinforce the values and morals we teach at home (which also includes no two piece dresses.) This contract is the teenager written / mom edited set of expectations that we agree is appropriate for a junior in high school. Grace’s job was to create a document that detailed her prom day itinerary, her transportation plan and expected behaviors. My job was to include anything she left off and the consequences. 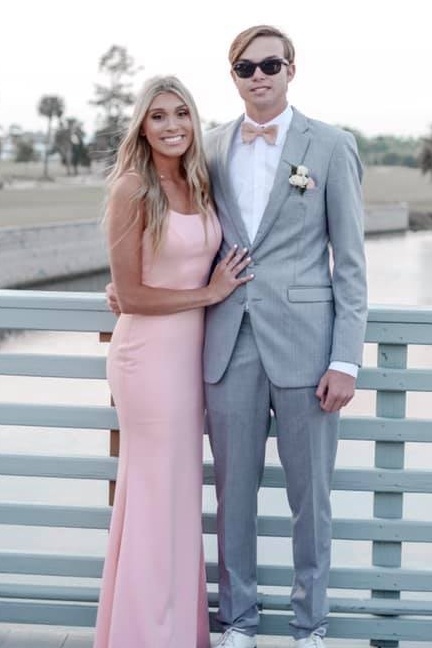 I also had a light hearted discussion with the young man taking her to prom and humorously but firmly expressed our expectations. I also spoke to his mother. Was it awkward? Sure. Would it be more awkward to pick up a drunk child from a dance or be told your teen is pregnant? Of course. I’m her mother, not her friend. Sometimes being a parent can lead to uncomfortable moments that I don’t apologize for. Additionally, I often work long hours and over commit myself to pay for the luxuries Grace is afforded. Her car is in my name and her payment is paid for by me... not her dad and not her stepdad. While she is shown the grace that comes with typical teenage mistakes, I work too hard to pay for a vehicle if a child does not respect her body or our house rules. Some may say I’m unrealistic, however I know that expectations greatly influence the end result... and I hope that this parenting strategy results in a very loved young woman who is raised to value her faith, her family and herself. If you would like to create your own prom contract, you can view ours by clicking on this link. As a mother with a Master’s Degree in Education/Child Development, the strategy behind this approach is to have your child summarize your house rules and expectations in written form. This is a documented method of teaching your child to hold themselves accountable. Natural and reasonable, parent-created consequences result from behavioral choices your teenager makes. Our goal as parents is to produce kind- hearted children who respect boundaries, meet responsibilities and engage in age-appropriate behavior. Setting high standards and establishing logical consequences are two effective practices that will help our children achieve success.